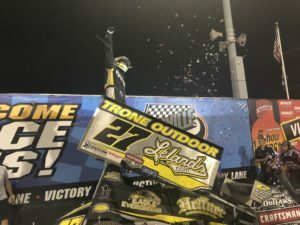 The State of Pennsylvania rejoiced last night as one of their own got the win in night one of the 58th Annual 5 Hour Energy Knoxville Nationals. 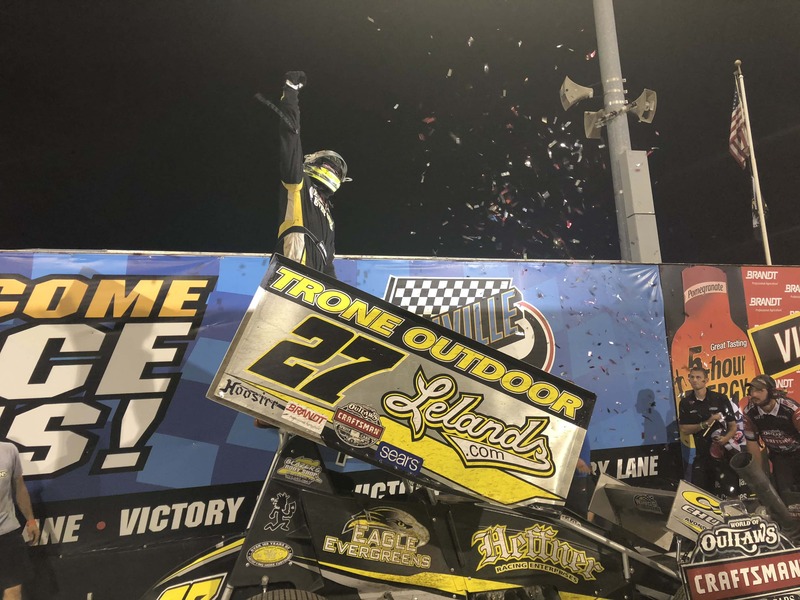 Greg Hodnett, who has had an inconsistent season in the Keystone State took home the checkered flag last night, with fellow Pennsylvanian Tim Shaffer coming home in second. In fact the top four starters Brock Zearfoss, Hodnett, Lucas Wolfe, and Shaffer all hale from Pennsylvania. Many drivers who come for the Nationals have not fared as well due to not having a track to run like Knoxville. However Hodnett said Knoxville just fits his driving style. Kyle Larson took third place and likely locked himself into the Saturday A-Main. He, by the way, does have the blessing of his NASCAR car owner Chip Ganassi to run Saturday is his starts well. Defending champion Donny Schatz failed to make the A out of his heat race and had to run the B. He roared all the way from 21st to fifth in the A, likely locking himself into Saturday’s big show. Larson leads the points after night one with 475, with Schatz, Aaron Reutzel, Kerry Madsen, and Shaffer the top five. Tonight is night two, and the rest of the entrants will try to score enough points to land themselves in the top 16. Lap Leader: Hodnett 1-25. Hard-charger: Schatz.